Across the AMA’s group of 11 businesses, there was an evident issue of disparity between website platforms, programming languages and ease of updates. Further to this, code bases were old technology and unmaintained, and the various integrations between each website created added difficulty in understanding how they work. 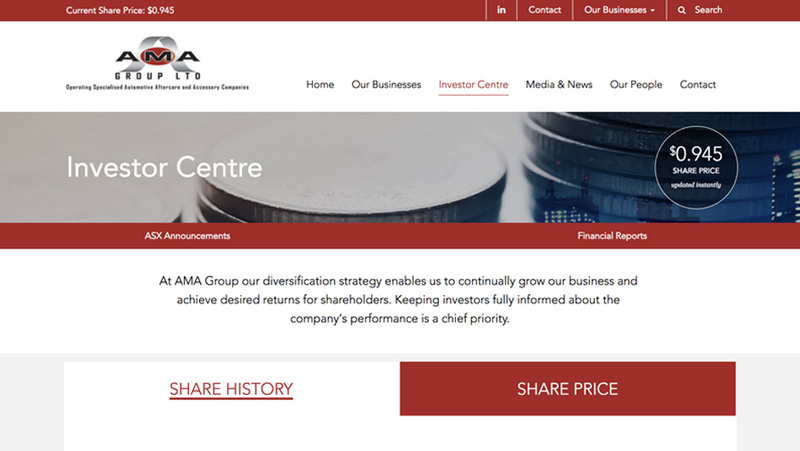 AMA Group has approached multiple developers and agencies over the past year to find a solution that will enable and give a technical advantage and has been unable to find a team who can successfully achieve this, until Digital Bird who took on digital strategy, and full digital development all 24 websites - including custom shopping portals integrating with various ERP systems, and retail e-commerce websites. This caused a successful consolidation and consistency of all websites within the AMA Group umbrella.